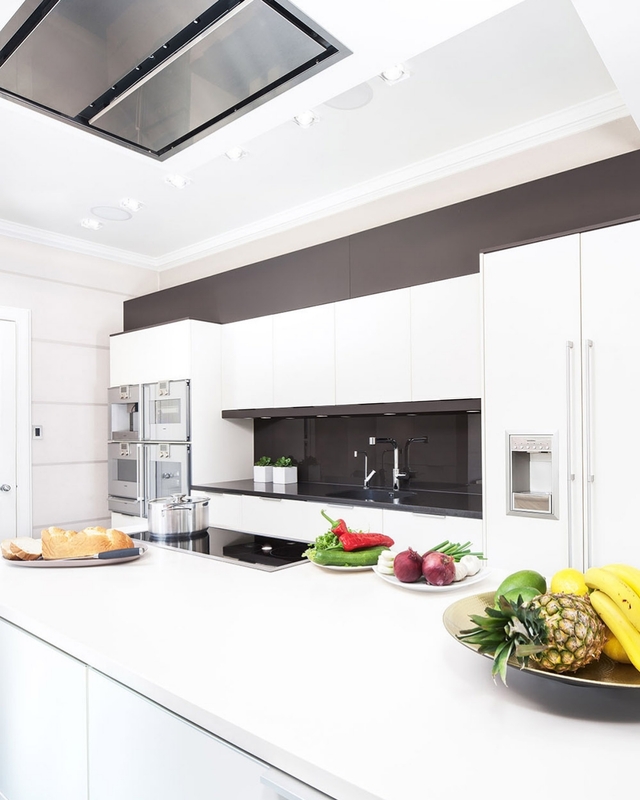 Keen cooks and entertainers with an eye for quality, Jackie and John wanted to create a sociable kitchen/living space that was fit for everyday family life as well as entertaining. Jackie and John wanted their L-shaped kitchen, dining and TV/Relaxation Area to be more spacious and feel ‘as one’. This design features a stunning island from our Leicht furniture collection. Ceres with Accent in Sepia Brown Lacquer furniture was used to create a light and spacious feel that extended into the Dining/TV/Lounge area. To bring the two areas together tall units were framed and built in using panel material in the accent colour. 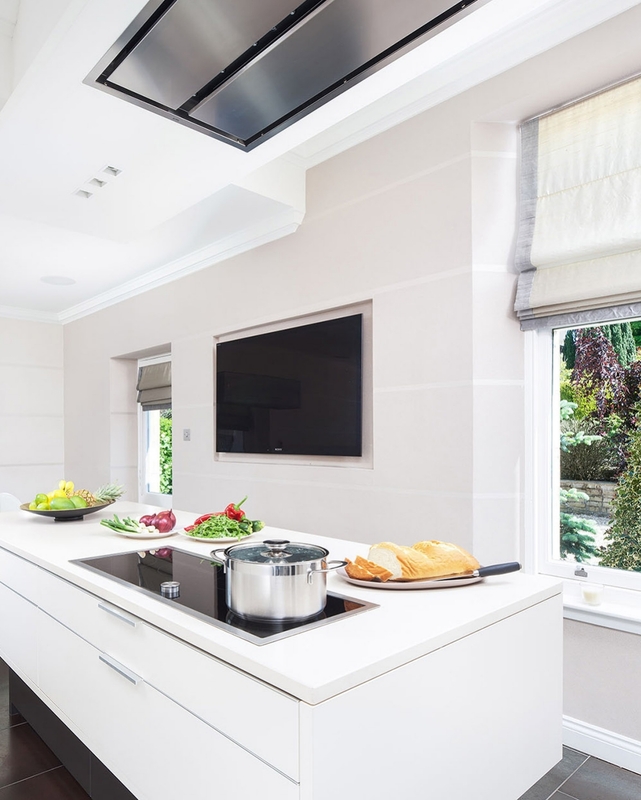 A mixture of Silestone Haiku and Carbono worktops were used to create a contrast between the island and sink/prep area located on the back wall. 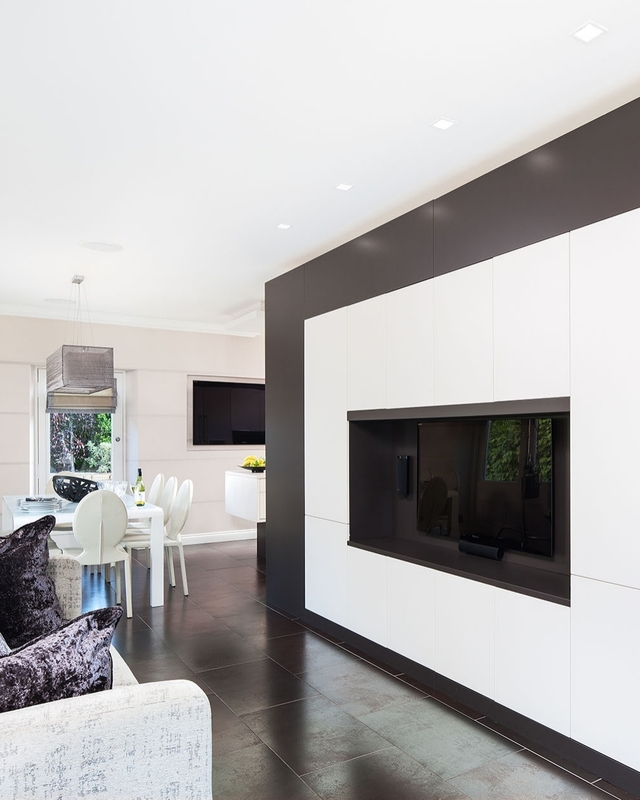 As keen cooks with an eye for quality and design, Jackie and John were drawn to the Gaggenau appliance collection. 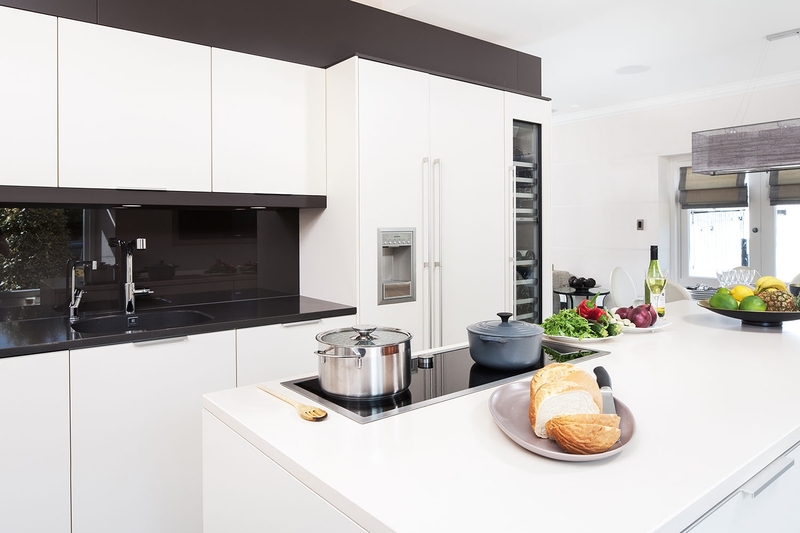 The design features a square bank of stunning stainless steel Gaggenau appliances, including: Single oven, Combination Microwave Oven, Steam Oven, Warming Drawer and Fully integrated Coffee Centre. 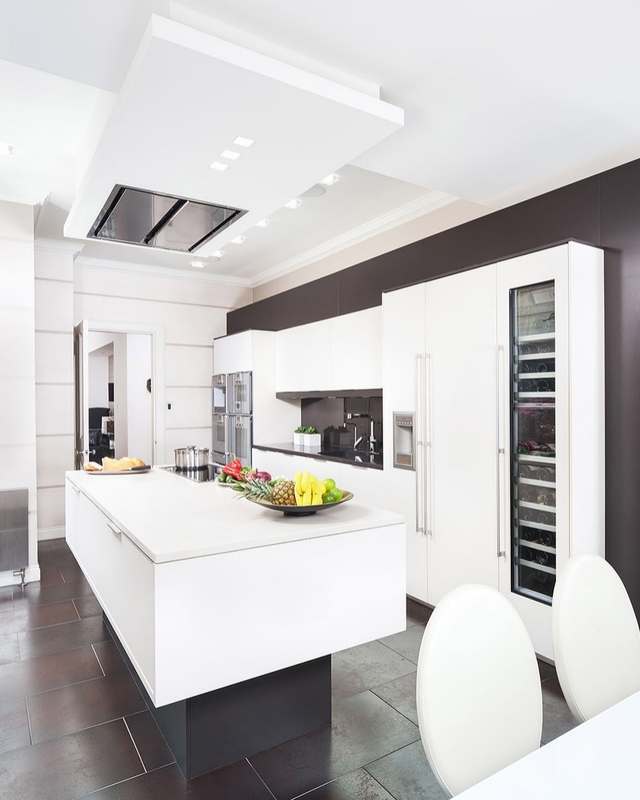 As well as Gaggenau cooking appliances, the Gaggenau Vario-cool refrigeration range was also incorporated into the design with integrated fridge, freezer and wine cooler.